The Les Ross-trained Defence Missile can earn another QTIS bonus when he runs at Doomben. Trainer Les Ross believes tricky barrier draws are the main stumbling blocks to him continuing his outstanding strike rate in QTIS bonus races at Doomben. QTIS bonus payments are paid to eligible Queensland-bred horses in two and three-year-old races throughout the state. Ross was second on the QTIS list last season with his horses picking up $140,000 in bonus payments and this season his youngsters have already earned about $50,000. It is a great effort from Ross who rarely has horses in his stable who brought more than $20,000 at the yearling sales. 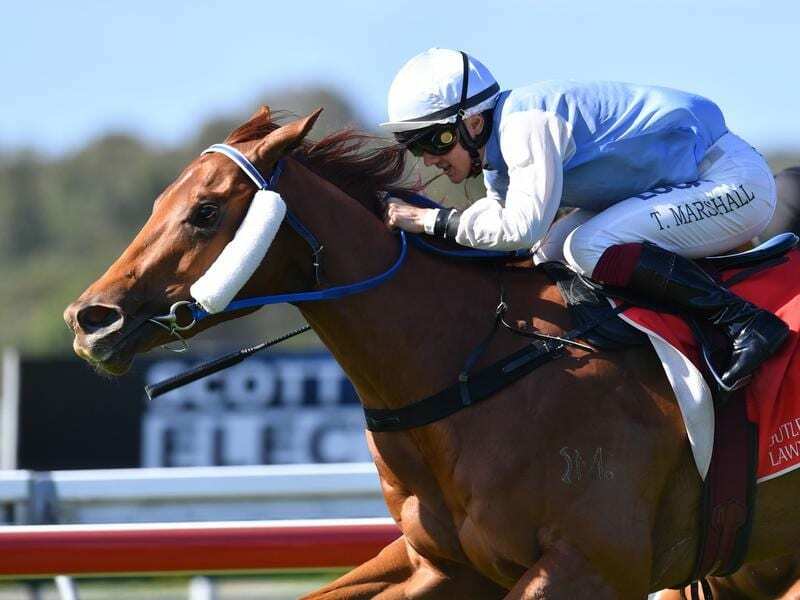 He has Defence Missile in Saturday’s QTIS Three-Year-Old Handicap (1110m) and Concealed Dynamite in the QTIS Two-Year-Old Handicap (1200m) at Doomben. Defence Missile was bought out of a paddock for $12,000 and has won $268,850 including $97,700 in QTIS money. He won three QTIS races in a row last year and was an unlucky fifth behind Archer’s Paradox at the Sunshine Coast first up. Concealed Dynamite cost $6000 as a yearling and has run three minor placings and a fourth in four starts for $20,000. Ross said the QTIS bonus system had been a great boost for Queensland racing. “It gives battlers like me a chance and I target the QTIS races,”he said. “Defence Missile has the outside barrier which makes it very hard. At this stage we will run but it depends on the weather, he likes wet tracks, and other scratchings. The filly is at an outsider with the Chris Waller-trained Bigboyroy the odds-on favourite. Waller operates stables in three states and his Gold Coast manager Paul Shailer believes the colt can step up to better races after a solid second on debut. “We think the 1200 metres will suit and Bigboyroy is a very nice horse. He looks to have a bright future,” he said. Bigboyroy is a $120,000 yearling by Dissident and is yet another nice horse raced by Noel Greenhalgh. A strong effort on Saturday could mean he goes to feature races over the winter carnival.